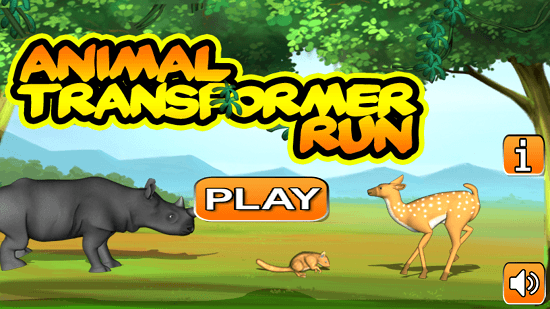 Animal Transformer Run is a free running game app for Windows 8 and 8.1. 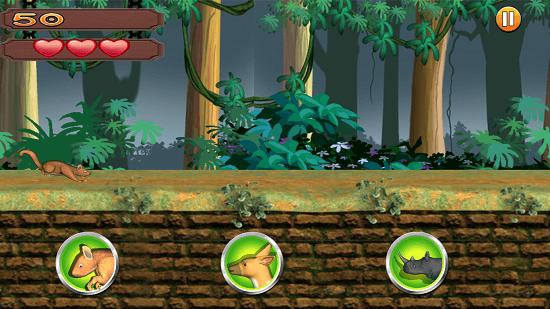 In the game, you have to transform between three animals at different intervals to cross the different hurdles. 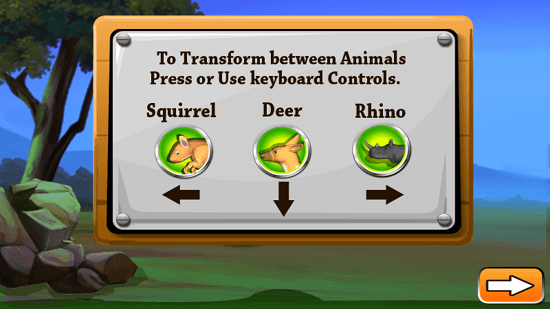 You can transform between squirrel, deer and rhino. Squirrel can be used to crawl under low height obstacles, deer can be used to jump over obstacles and the rhino can be used to dash through and break obstacles like walls and other hard obstacles. The aim is to reach the finish line without dying. The game is lightweight and super fun to play! Animal Transformer Run is available for free from the Windows 8 App Store. 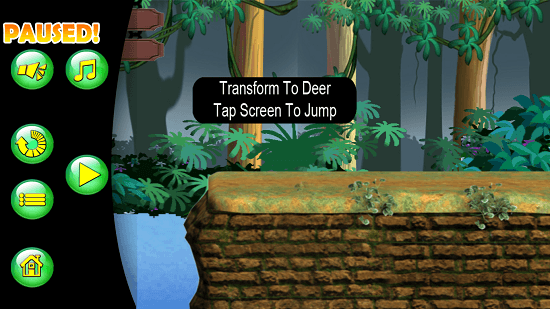 Click on the corresponding animal’s image at the bottom of the gameplay screen to transform to that particular animal. Touch the screen to jump/dash/duck. Just head over to the app store and get the game for your device. When installed and run, you will be shown its main screen. Click on the Play button to be taken to the level selection screen. Only the first level will be unlocked in the beginning, more levels get unlocked as you complete the previous levels. In the level selection screen, just click on the level which you wish to play, and you will be briefly presented with the controls screen. Click on the arrow button at the bottom right to proceed to gameplay. You can use either touch screen or keyboard controls to play the game. You get a total of three lives and when you run out of lives, its game over. You can pause the game either by tapping the pause button at the top right of gameplay or by pressing the Esc. button. With this, I rest the main features of this game. Animal Transformer Run makes for a good download on your device. You can get it for your device by heading over to the link below.